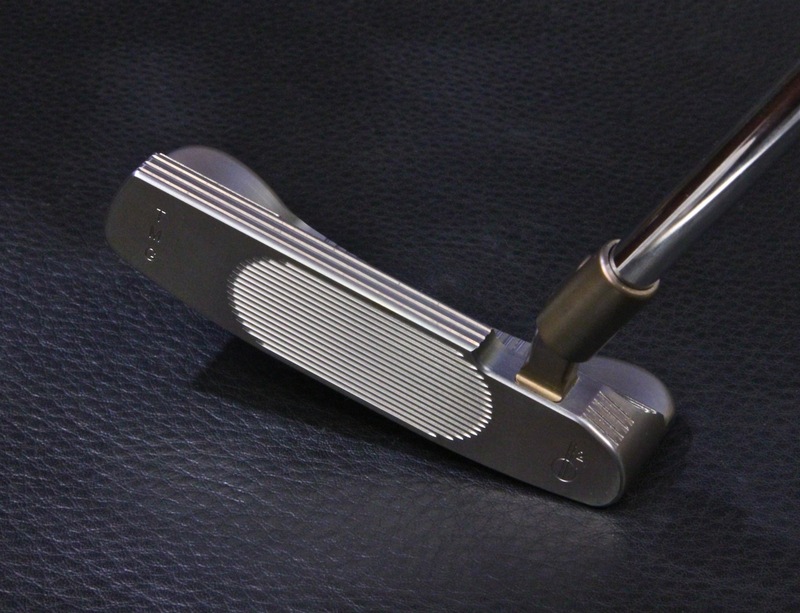 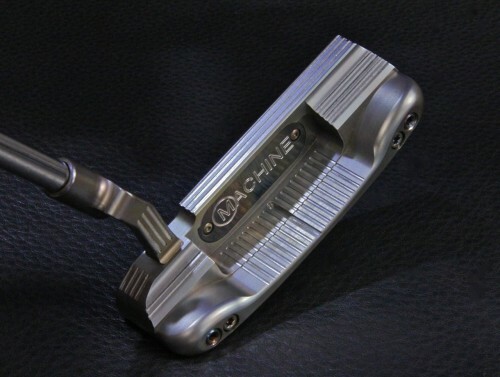 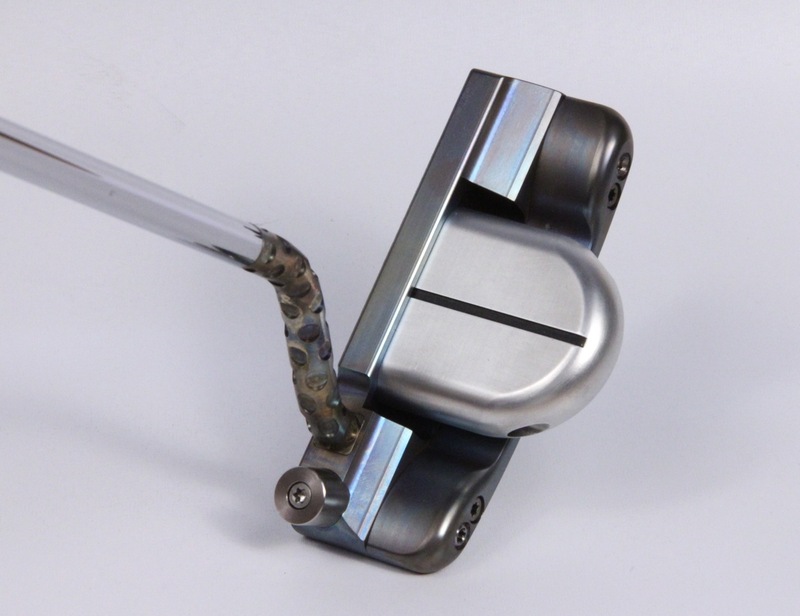 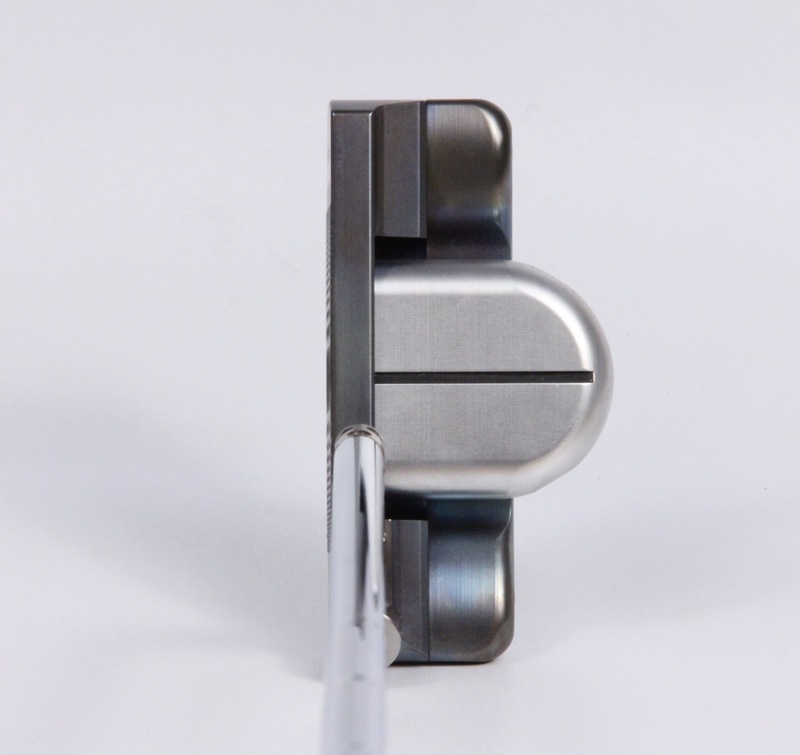 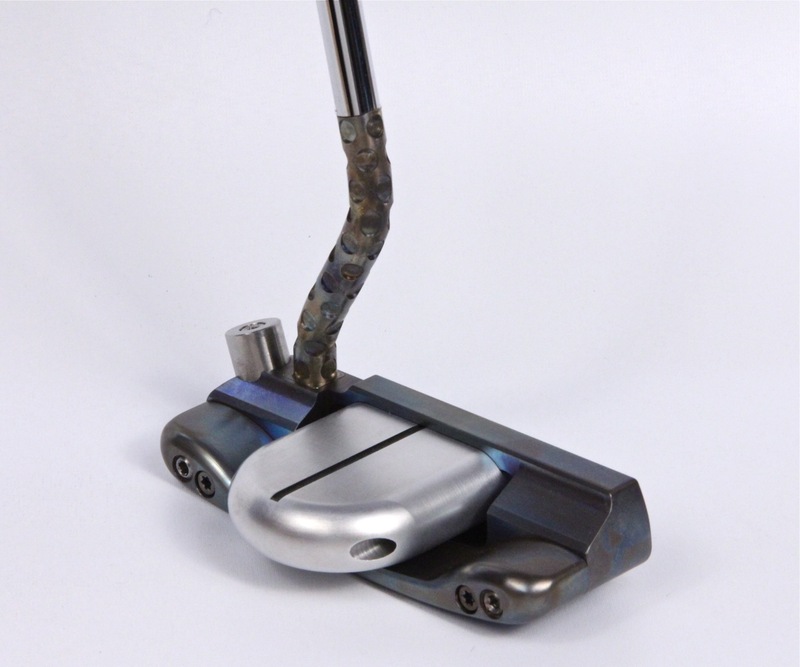 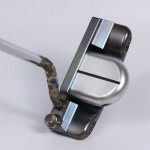 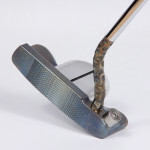 MACHINE M20 in 303 Stainless Steel with a Fatback flange, Reversible ATM (Alignment Tongue Medallion), Arc Balanced Closer Weight, Disco Ball Hosel and a ton of Tungsten weights in the heel and toe and two more inside the ATM. 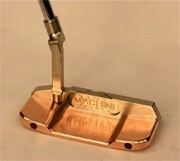 Morning Dew Rainbow finish. 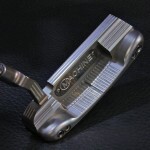 Head weight is 375 on the nose. 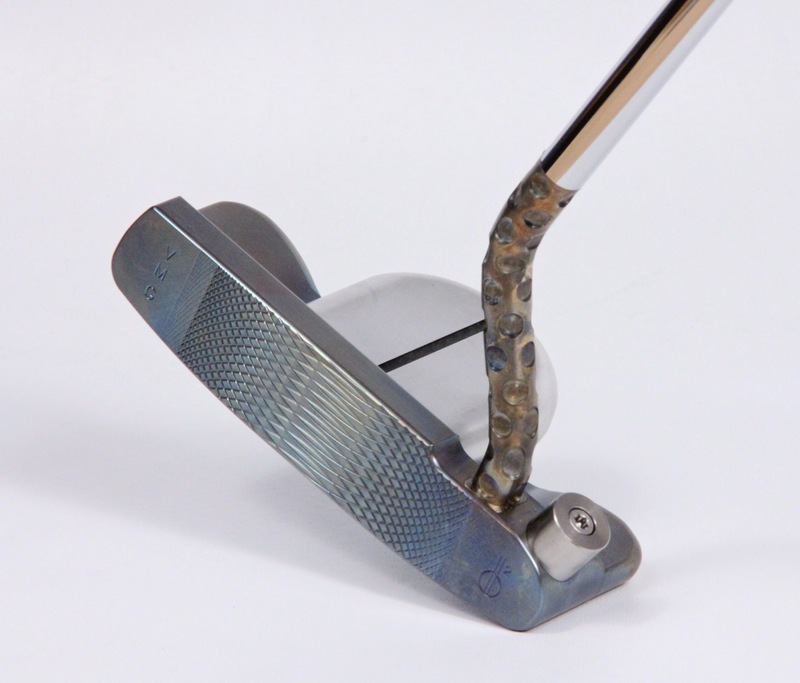 Long stepped shaft and long SuperStroke grip.